New York City officials said on Thursday that they would introduce legislation to crack down on Medicaid-supported senior day care centers that lure relatively healthy clients with enticements like free takeout food and even cash. 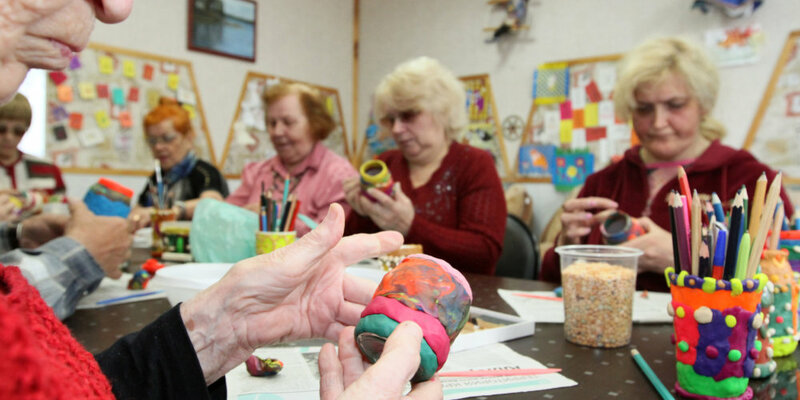 In recent years, the number of programs known as social adult day care centers has exploded in New York City, to around 200, taking advantage of changes in state Medicaid programs for frail older residents. The centers are supposed to provide daytime socialization for people needing long-term care, often from nursing or home aides, but a New York Times article in April reported that some centers, which receive as much as $90 per day per person, were drawing in robust seniors, sometimes with improper giveaways. One such center in the Bronx figured in a political corruption case, its owners accused of bribing a state assemblyman to help them squelch competition. The new bill, to be introduced Wednesday in the City Council, would impose minimum requirements on what are now virtually unregulated centers. The officials, who announced it at a news conference, said the bill would also protect the more established senior centers that have typically served clients for just a few dollars a day, but who were losing business to the flashier and far more expensive upstarts. At the same time, the officials said, they worried that frail people and those with dementia would be placed in social day care centers without proper staffing or programs. “It is just outrageous that these pop-up centers are threatening the well-being of our seniors while draining Medicaid resources from legitimate programs for older adults,” Christine C. Quinn, the City Council speaker and a mayoral candidate, said at the news conference which was held in the lobby of the Lenox Hill Neighborhood House, an Upper East Side institution more than a century old. “Increased oversight and regulation of these programs is needed immediately,” she said. The Council bill would subject all social adult day care centers in the city to the regulations that now apply only to eight programs financed directly by the city and the New York State Office for the Aging, like the one at Lenox Hill, known as CARE, where nine elderly people with dementia were being led in storytelling and music therapy sessions on Thursday morning. The bill limits the centers to serving impaired adults, sets minimum safety and program standards, and requires registration with the city’s Department of Health and Mental Yygiene. Programs that ignore the rules or fail to register would face fines of $250 to $1,000 a day. The bill could be adopted this month, said Maria del Carmen Arroyo and Jessica Lappin, two City Council members who have been working on it for the last year, prompted by complaints from advocates for the elderly. But enforcement is another story. At a City Council budget hearing last week, Lilliam Barrios-Paoli, the commissioner on aging, estimated that it would cost close to $2 million to extend spot checks and annual inspections from eight programs to a couple of hundred. She is now in negotiations with the state over a plan to provide her department with the necessary resources and authority to do the job, she said. The Council measure could be a model for statewide legislation to regulate “this proliferation of shady operations,” added State Senator Diane J. Savino, a Democrat who represents parts of Brooklyn and Staten Island, and who has been drafting such a bill.